Humboldt County Coroner Dave Parris told the county Grand Jury that he supports the concept of consolidating his elected post with that of the sheriff. Consolidation would likely save money and, Parris hopes, reduce the burden on coroner staff. Humboldt County Coroner Dave Parris sounds tired. Usually reliably chipper and upbeat, Parris' voice is worn with exhaustion as he speaks with the Journal on Sept. 17. The topic of the day is a persistent rumor running through county circles that Parris — re-elected to another four-year term just three months ago — has accepted another job offer and intends to leave his office shortly after being sworn in. The potential departure would create a vacancy and leave the Humboldt County Board of Supervisors with three options: appoint a replacement, hold a special election or follow through with long-talked-about plans to consolidate the coroner's office into that of the sheriff. Some say consolidation is the end game, alleging that several members of the board went so far as to convince Parris to run for re-election knowing he didn't intend to fulfill the term. All that talk is premature, Parris says, adamantly adding that he hasn't accepted any job offers. But the coroner, a former Eureka Police Department detective, clearly seems conflicted. In one breath he says he's been elected to a four-year term and anticipates fulfilling that responsibility. Moments later, he says, "There will be changes in the future. I can say that for sure. Whether I'm still here or someone else is here, that remains to be seen at this point." Talking to Parris and a host of other county officials, it's clear changes are imminent in the Humboldt County Coroner's Office. The current situation is simply untenable, Parris says, explaining that he and his three deputy coroners are overworked without any budget flexibility to bring in reinforcements. It's a problem that has persisted for years. "The workload is just overwhelming," he says. "We are under a tremendous amount of strain. I was with the (Eureka Police Department) for 27 years, and that was an easy job compared to what we do here. It's extremely difficult on your personal life and your emotions. ... We work around death all the time. If you work people too hard, they're going to break, especially in this line of work." Parris stops short of identifying a solution, other than to say his office needs more resources and that he expects there to be some options coming before the board of supervisors early next year. "I can just tell you we're working diligently to make this better." Since Humboldt County's inception, it has had a publicly elected coroner tasked with investigating and determining the cause of all unnatural and unexpected deaths, as well as all child deaths. The office's deputy coroners traverse the county's 4,000 square miles — through cities, up dirt roads and into the woods — to take possession of the deceased. From there, they notify family members, investigate causes of death, schedule autopsies and maintain a litany of records. When four people were killed recently in a single car crash on State Route 36, the coroner's office was there to help families through the tragedy. When a 22-year-old was shot and killed last week by Eureka police, the coroner's office responded to the scene and, later, notified the man's family. Technically law enforcement officers, coroners and deputy coroners act as investigators. They track down family and friends, and search for facts surrounding a death. But they are also counselors, helping families and friends confront death and often the uncomfortable circumstances surrounding it. Last year, the office investigated the deaths of 262 people and ordered 92 autopsies — post-mortem examinations by a forensic pathologist aimed at determining the manner and cause of a person's death. Some of those cases were relatively straightforward. Others led Parris and his deputy coroners down long, arduous paths, as they put together evidence and clues to determine exactly what killed the deceased or to track down his or her next of kin. On the phone last week, Parris says it's all tremendously rewarding work — work that can showcase the best in everyday people in times of great personal loss and crisis. But it's also arduous, detailed and emotionally intense work that demands the staff be at its best as there simply isn't room for mistakes. That's precisely what makes the current situation so grueling, Parris says. The office has three deputy coroners who — along with Parris — fall into an on-call rotation, each taking one week a month when they are responsible for responding to every call that comes in, 24 hours a day. The following week, the next man is up. Parris says the week after being on call, employees process the cases taken in the week before — scheduling autopsies, tracking down relatives, ordering tests. The following two weeks they spend doing case work, tending to open files, writing investigation reports and filling out mountains of paperwork. Then, they're back on call. "For me, it's overwhelming," Parris says. "It shortens your life span." The schedule also racks up notable expenses, as every time a deputy coroner gets a call at 2 a.m., the overtime clock starts running. Last year, the office's three deputy coroners — Charles Van Buskirk, Trevor Enright and Roy Horton — combined to earn more than $45,000 in overtime pay. Under Parris' direction, the office started a volunteer program in 2009 in which trained citizens come in to be a physical representative of the office during autopsies, relieving deputy coroners of the burden of sitting through the often hours-long procedures. "That has helped tremendously," Parris says, "but we're still very short of where we need to be." Because of Humboldt County's size, it doesn't employ a forensic pathologist and, instead, contracts out autopsies, often bringing licensed physicians in from outside the area to perform them. "We don't have a homicide or an infant death rate that would support a full-time position because forensic pathologists are very expensive," Parris says. But not having an in-house pathologist to perform autopsies makes it difficult to budget. "You never know what you're count is going to be from one year to the next," Parris explains, adding that some years have two homicides while others have 12. The office has other challenges, as well. The Humboldt County Grand Jury's 2014 report notes that physical space in the office's headquarters — the old General Hospital building on Harris and H streets in Eureka — is so limited it makes it difficult for personnel to have confidential interviews and conversations. When a deputy coroner needs to speak to someone in private, the report states, they talk in Parris' office, "which is inefficient" as "confidentiality is a critical part of the coroner's overall mission and duty to Humboldt County residents." The autopsy room — the hospital's old surgery center — was built in the 1950s, and still includes some original equipment. The refrigerator used to store bodies of the deceased is old, inefficient and expensive to maintain. The office's information technology is also way behind the times, leading to further inefficiencies. But the biggest issue, Parris says, is that the office has just four people to handle every death case in the county. And, he says, that's ignoring the fact that 70 percent of his time is supposed to be spent in the role of the county's public administrator. "At a minimum, we are really short one person," Parris says, adding that he generally only takes one weekend a month off. Annually, Parris says he's asked the county to fund an additional position in his department. The request has never been granted by the board, which faced a $2 million structural deficit in this year's budget. Mostly, Parris says, he worries about his staff. "We have to take care of them," he says. "That's the future of this department — taking care of the people we have — because they are extremely specialized in what they do. You just can't go out and fill those positions overnight." So, with all that in mind, when a Humboldt County grand juror recently asked Parris if he, an elected official, supported the elimination of his office in favor of a consolidated sheriff-coroner position, he said yes. In June, more than 21,000 people voted for Parris, who was running uncontested for another term as coroner. Most of them probably didn't know he'd been on the fence about running for re-election, or that he'd been actively talking with county staff and officials about a potential consolidation with the sheriff's office. While the levels of transp arency vary depending on who you ask, it's clear the consolidation subject has been seriously discussed for much of the past year. "There have been ongoing discussions for some time," Sheriff Mike Downey says. Fourth District Supervisor Virginia Bass says "there have been no official discussions," but concedes she and staff have talked about the concept and that Parris has brought it up during "informal conversation." Asked directly about consolidation discussions in an email, County Administrative Officer Phillip Smith-Hanes replied: "Our office has long held the position that departments cannot be operated effectively with less than 10 staff members," adding that county staff regularly investigates possibilities for department consolidations of various types. Even with Parris' fatigue and the uncertainty surrounding the office's future, Bass says she encouraged him to run for re-election. "I think he's done a wonderful job," Bass says, adding that there are uncertainties in every elected official's life that make fulfilling another term far from a given. And, Bass says, if big changes are on the horizon for the coroner's office, she's confident Parris is the right man to help the office transition into the future. While wrestling with whether to run for re-election, Parris said he talked to various board members, all of whom offered their support. 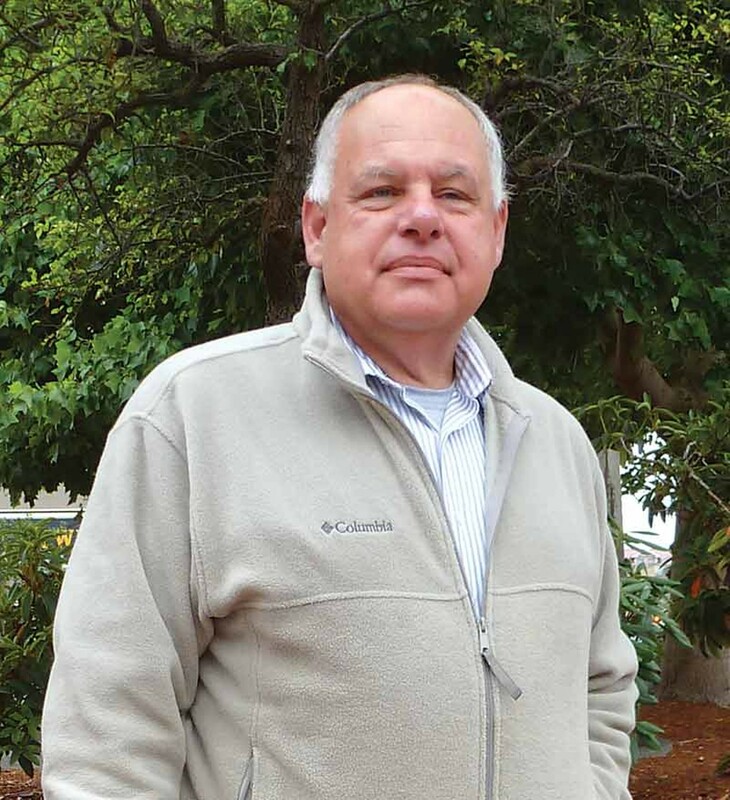 Bass and First District Supervisor Rex Bohn even pledged financial support, each donating $350 to Parris' campaign, money that helped pay the bulk of his filing fee, according to Humboldt County elections records. Several months after winning another term, Parris doesn't dispute that he's looking at some other job opportunities. "I've got several options out there that I'm looking at, but I haven't accepted any other job offer at this point," he says. "To be truthful, my focus is on my people, and this coroner's office is my people and I'm concerned about them. My job, and I'm going to do it before I leave here, is ... to make life better for them." For his part, Parris says he's been discussing his office's staffing and funding issues with board members and Smith-Hanes diligently "for quite some time." Parris declined to discuss specifics about the conversations but said: "In the next six months or so we should outline where the office is going to go in the future." The county is looking at all options to resolve the issue, Parris maintains, but the coroner only mentioned two specifically: consolidation with the sheriff's office and the prospect of hiring another deputy coroner if the county's sales tax measure passes in November. If consolidation is on the table, the Journal asked Smith-Hanes, then why wasn't this publicly discussed by the board before June? "There is no consideration of bringing any item before the board for consolidation of elected offices until we have a notice of a vacancy in one of the offices," Smith-Hanes replied via email. The board last took up the subject in 2009, when now Eureka Mayor Frank Jager left his post as coroner to take a seat on the Eureka City Council. Back then, the board was faced with the decision of whether to appoint Jager's replacement or to consolidate the position with that of the sheriff to create a new sheriff-coroner. At the time, 45 of California's 58 counties had consolidated sheriff-coroner positions, making Humboldt an outlier. County staff recommended consolidation, saying it would increase efficiency. After much discussion and an outcry from some sectors of the public that wanted to maintain the coroner's office's independence from other local law enforcement agencies, a divided board voted 3-2 to appoint a replacement and keep the coroner's office independent. At the time, Jager said he saw potential benefits with both routes but ultimately supported letting the office stand on its own. Five years later, Jager says he sees things differently. Mostly, he says, he feels for the deputy coroners, whom he dubs the "unsung heroes of the county." "They're just hammered," he says, noting the 2 a.m. trips to Hoopa and Honeydew. "Believe me, that wears on you after a while. I would still be there if not for that call-out situation. People don't realize how much they get called out, and how much that interrupts their lives." When the county mulled consolidation before, then-undersheriff Downey was tasked with putting together a transition plan. Years later, Downey says he still sees a lot of merit in the idea, saying it could net a cost-savings for the county as a whole. The sheriff's office has a host of investigators, Downey says, that could help with death investigations, the primary function of the coroner's office. And, he says, under a consolidated office he would have deputies cross trained so they could deal with preliminary death investigations. "Less complicated investigations could be handled by the field deputy when he responds and would preclude a deputy coroner call-out," Downey says, adding that would reduce the burden on the deputy coroners and costs associated with after-hours calls. The plan would require some additional training of deputies, but much of it could be done "in-house" without additional expense to the county, Downey says. But sheriff's deputies are already stretched with duties and patrolling the county's outlying areas. 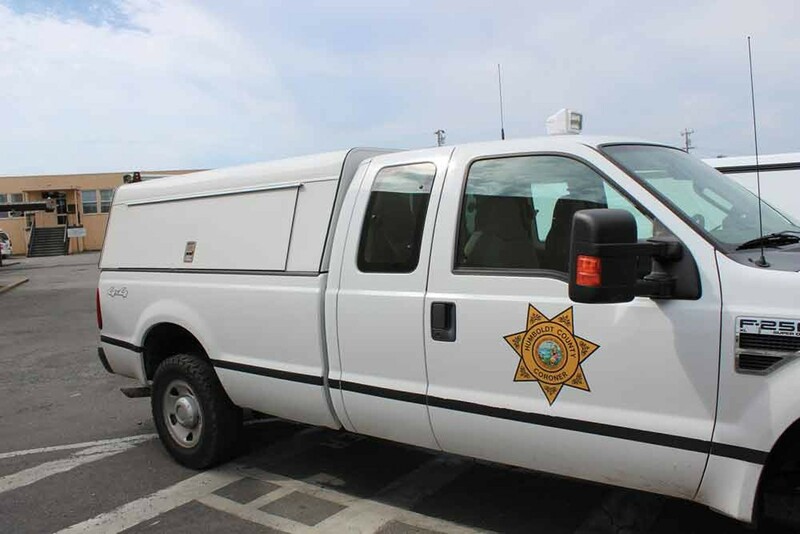 Responding to deaths can be a time-consuming affair, and deaths in Humboldt County's incorporated areas would pull deputies from their normal coverage areas. Jager says there's also a lot of value in the coroner's office being seen as an independent agency and not as an arm of local law enforcement. "One of the things we ran into when dealing with deaths that occur in sensitive areas, like parts of Southern Humboldt, is that we were able to get a lot more information and talk to a lot more people [than police would have been able to]," he says. "A coroner's van going into, say, a remote area where there may be illegal grows or whatever doesn't raise much concern. A deputy's car is seen differently." For his part, Jager says he doesn't think consolidation would neuter the coroner's office's ability to act as a check in the system, not as long as Van Buskirk and Horton are around, anyway. "They're top notch," he says. "They're not going to be swayed by anybody." Realizing there would be at least a perception issue in the case of deputy-involved fatalities, Downey says his plan would be to call in neutral coroners. "If it's a sensitive issue, a shooting or a death by a vehicle accident involving the sheriff's office, then we would have a neighboring county's coroner's office come in and handle that investigation," he says. While Jager says he would support consolidation because he sees it as the only way to ease the burden that's currently on the county's deputy coroners, he says it's not an easy decision. "It's a tough call on the part of the county," he says. "There's tradeoffs and pluses and minuses, but when you look at all the counties in the state that have (consolidated), there's a reason they've done it." Shortly after Humboldt opted to let its coroner's office stand alone and appointed Parris — one of 14 applicants — to the post in 2009, Marin County faced a similar decision and went a different route. There, voters approved a consolidation of the two offices, despite a bitter opposition campaign mounted by Ken Holmes, then the sitting coroner. Five years later, the merger is saving the county $41,000 a month, according to a recent article in the Marin Independent Journal, and generally getting rave reviews. In Humboldt County, however, the move wouldn't generate anywhere near those savings. In Marin, the merger of the two offices saw a purging of just about all the coroner's office personnel, who were replaced with lower-paid investigators. If consolidation moves forward in Humboldt, Downey says he will retain all the deputy coroners. Back in 2009, the county estimated the consolidation would save between $36,000 and $64,865 annually. Downey says he anticipates the budget savings would be meager initially, but would have the potential to grow as functions become more streamlined and efficient. 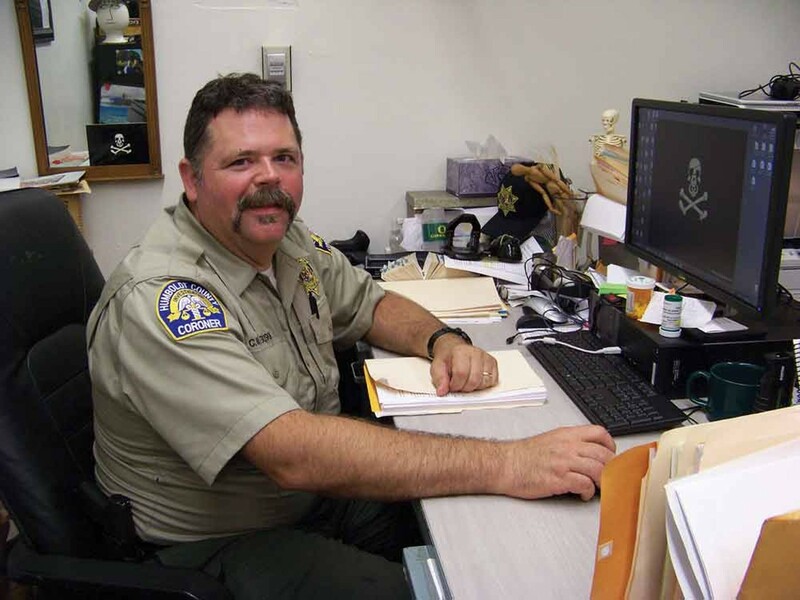 It also seems likely that Downey would see an increase to his $174,000 annual salary if the consolidation moves forward, as sheriff-coroners in counties of similar size to Humboldt make an average of about $26,000 a year more than their sheriff counterparts. In addition to potential budget savings, Parris says a consolidation may open the door to funding opportunities for the coroner's office function. Currently, he says, there are grants available to pay for coroner's services. The problem, he says, is the coroner's office currently doesn't classify as a "first-responder agency," making it ineligible for most of them. If the office were brought under the wing of the sheriff's office, it would be listed as the applicant agency for such grants, Parris says, which could bring more resources to the county for coroner's services. But budget savings are secondary in Parris' mind. He says his overriding concern moving forward is simply finding a way for his deputy coroners to work with less strain and anxiety. The office's current configuration puts its employees under tremendous strain, he says. "I care about the people I work with. I need to have conditions for them that are going to be healthy." Parris says the county is "working diligently" to make things better. It appears the plan may well be addition by subtraction, but those sitting outside county government will have to wait until the new year to see.